We hold ourselves to very high standards of safety for our drivers, other motorists, and our customer's products. That is why we encourage anyone to look up our DOT Safety Rating (CSA2010) where you will find that our score is among the highest of petroleum carriers. 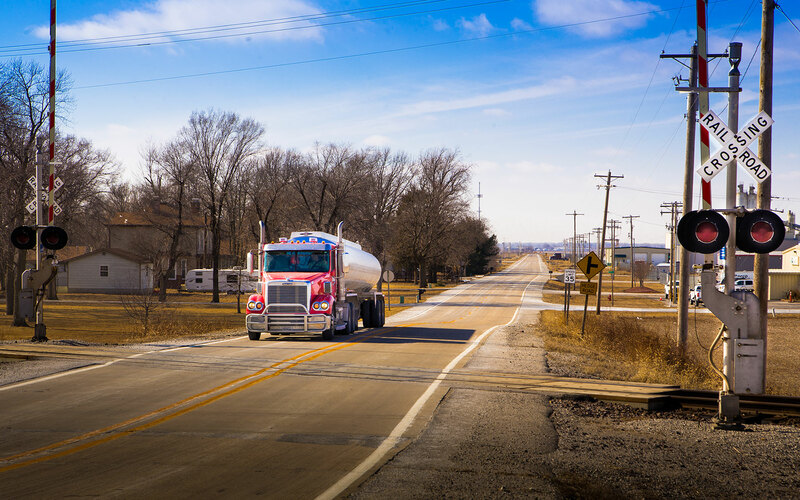 Our drivers are background checked, drug tested, and compliant with all department of transportation regulations and exceed the requirements for hauling liquid hazard materials. We hold semi-annual safety seminars, provide drivers with safety incentives, and require several forms of on-road and off-road training before drivers are sent out on their own. Our executive and management teams are involved in a variety of industry leading organizations and attend seminars and conventions throughout the region, helping us stay informed and on the cutting edge of state and federal policy regarding the transportation industry.